Yogi Berra, MLB Hall of Famer, may be one the of the best ever. 18 time All-Star, 10 time World Series champion and 3 time American League MVP are just a few of his acolates. 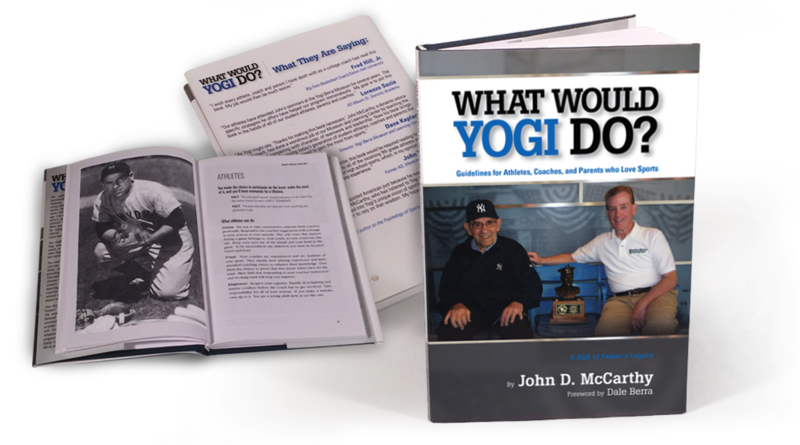 Known for his "Yogi-isms" (quotes) are just a glimps into the insight he shares about family, coaching and athletes in John McCarthy's Book in which Swinton Studio designed and published.